I've said it before and I will say it again. I grew up watching and loving old stop motion monster movies. I still love them. Godzilla in a rubber suite stepping on plastic tanks, or a stop motion King Kong battering a dinosaur is way more entertaining to me then a cgi creature movie. 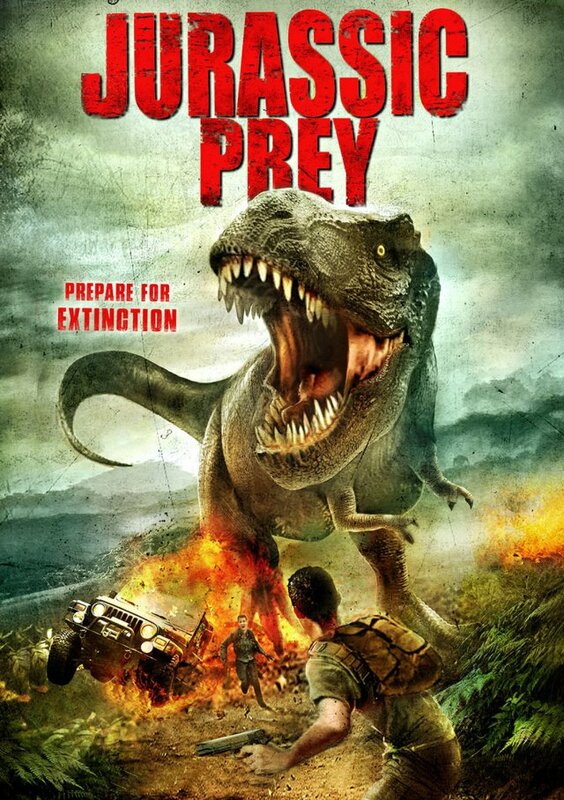 With that said I was quite anxious to sit down with Jurassic Prey. 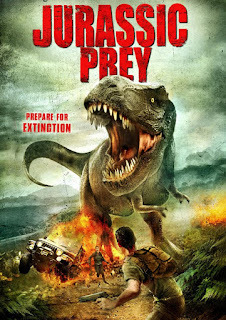 Jurassic Prey is the story of 2 bank robbers. After they pull a job they head out to an old cabin with the police in hot pursuit they grab a girl who, as fate would have it, just robbed her criminal boyfriend. Because of that she has goons chasing after her. So now we have people in a remote cabin, people outside the cabin waiting for them, and just some occasional people wandering around. We also have a giant dinosaur outside to eat them. The dino, as far as I can tell is a guy in a big rubber suite. When you get full on body shots Its an old school stop motion dinosaur. Just fyi, the suite and the puppet don't really look similar. It also has the cool little off screen kills where you see a limb from the dino and a person being mutilated. Of course everyone has to band together, sort of, at the end to try and stop animal and escape. This film is fun plain and simple. Giant monster, stupid people for food, what more do you need.